Patience is key. 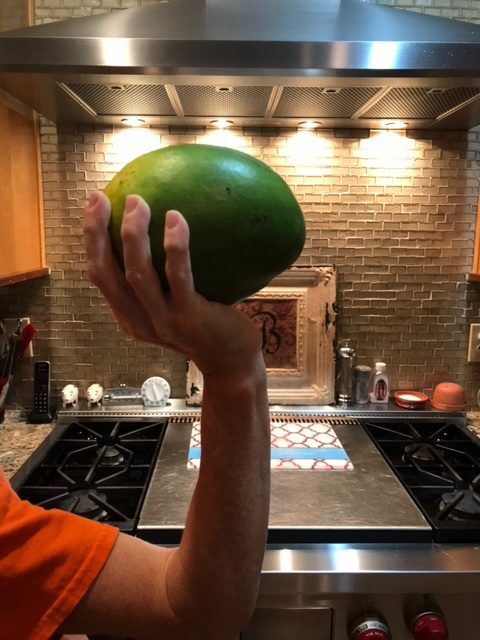 Determine if your mango is ripe by gently pressing on the skin. It should give slightly (much like selecting a ripe avocado or peach). The stem ends should also exude a faint, fruity fragrance as a sign of ripeness. Touchdown time: take a grapefruit spoon and savor scooping out the sweet flesh of each half. Final field goal: peel the leftover pit and devour it over the trash with juice squirting and dripping all over your chin. We realize “doing life and consuming food” is part of living your story so our culinary trained contributor Lauren Browning offers some of her “foodie favorites” over the next couple of months. We’d love to hear thoughts on how you are enjoying her tips. Prepare on sisters!